Lease-Option, Rent to Own, Rent with Option to Buy and Lease-Purchase are essentially the same thing. Anyone can cash in big by controlling property while never taking title. This method works on properties in any condition, price range and with any kind of underlying financing. You can make lots of money without ever owning the property. You use little or no money and take very little risk. That’s Right! Say Goodbye to the expensive, high maintenance rental business. So what is a Lease Option? Simply defined, a lease-option is a lease agreement combined with a purchase agreement. Through a lease-option agreement, a buyer leases a property and then has the right or “option” to purchase on or before the end of that agreement. During the lease period, the seller applies a percentage of the monthly payments (usually 10-20%) received from the buyer, along with a down payment or option money (usually 0-5% of sales price), which will be credited towards the purchase price. This arrangement gives the buyer time to save enough cash to take title to the property or time to repair their credit sufficiently to take title to the property on or before the end of the lease-purchase period by qualifying for a new loan, assuming an existing loan, or by working out some type of owner financing. 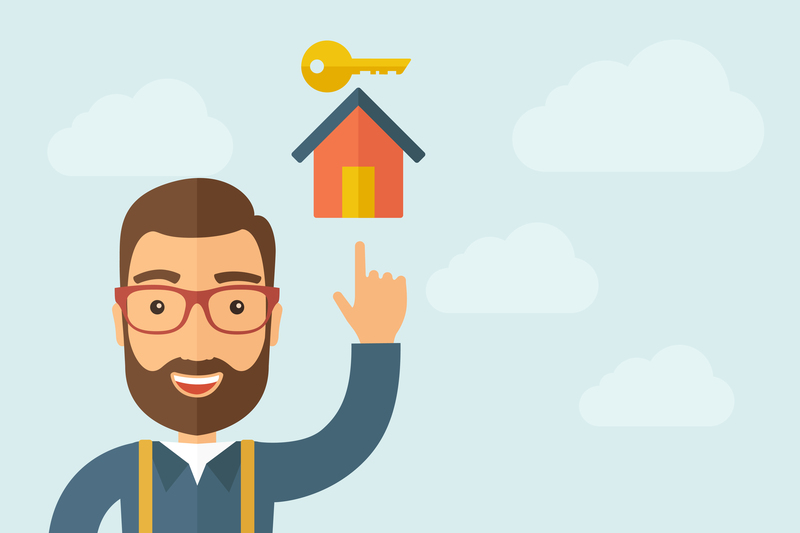 The Lease-Option Method is a true win/win strategy in the field of real estate, whether you are a seller, landlord, buyer, renter, investor, or a real estate agent. It’s simple, it’s legal and it benefits all parties involved. Let’s explore a few advantages of lease-option. Please check with your local and state laws before working this method. Why would a Seller want to do this? Could receive up to full price for property. We could pay up to full price because we are buying these homes on terms. Meaning that we are not buying the home today for cash but at a later time. Could receive higher rent than usual for market. With many homes on the market that were purchased at a very high amount and have high mortgage payments, we may have to pay higher rents. This is ok because again we are buying it on terms. Receive a non-refundable down payment. Called “Option Payment”. No or little maintenance costs or repairs. We put in our contracts that the buyer is responsible for paying up to $500.00 per occurrence, eliminating constant repair costs by the seller. No management headaches. Lease Option buyers are more committed than traditional renters because they ultimately want to buy. Our experience tells us that they will take care of the home without the constant calls. You must do your own due-diligence. Seller retains title. The seller still owns the property until the new buyer exercises their option to purchase the property. Safer than conventional rentals, better quality tenants (nothing is better than a lease-purchase tenant/buyer with a cash commitment). As you can see, this method offers several benefits to the seller/landlord. The seller/landlord can have cash in his/her pocket, his/her home occupied, mortgage payments covered, and a buyer willing to pay his/her full asking price. It can all be accomplished in a few hours. Where do you find these sellers? No, or little equity in home. Don’t need all cash right now. Job transfer and they need to move quickly. Trying to buy another home and need payments covered. Don’t want to pay a capital gains tax until the following year(s). Example: Terms with Seller and Investor. Example: Terms with Investor and New Buyer. In the following example, you as the investor pay the seller and the new buyer pays you. The investor earns $2,000 up front, $200 a month and $10,000 when the new buyer closes on the property. The investor made a big profit on a property he/she didn’t even own or live in. The key is to control real estate; you can accomplish the same goal by controlling real estate as owning it. You will want to try to profit in all three levels, or a combination of the three. You can learn more about this strategy and how to connect all the dots by attending our upcoming webinar training. You can learn more about this strategy and how to connect all the dots by attending our live event in Atlanta, GA on September 16th and 17th.